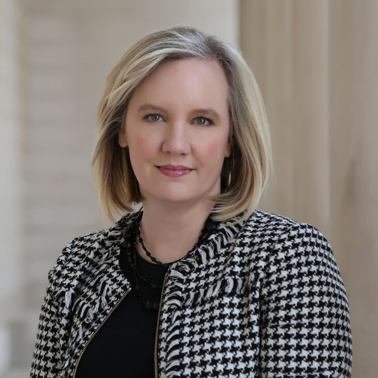 Megan Jones (@MeganJonesEsq) is a California Bay Area-based lawyer who focuses on recovering damages for companies who are victims of antitrust cartels for price-fixing, tying, restraints of trade, and other competition violations. With 19 years of experience in antitrust class actions, Megan has an "extraordinary depth of expertise in cartel-related matters." Companies that buy things to make things have typically bought cartelized products, and Megan helps them recover damages for such purchases. Able to analyze a corporation’s purchases around the world, Megan can then offer a panoply of options for recovery in multiple jurisdictions. She emphasizes the non-litigation options a corporation has when appropriate, and she is as adept at settling a case in a conference room as she is in a courtroom. The Legal 500 has selected Megan as one of the Top Leading Lawyers in the U.S. in plaintiffs’ representation for antitrust every year since 2012, and she has twice been listed on Global Competition Review’s Women in Antitrust. Trusted by courts to lead large and complex antitrust cases, Megan has been called a "trailblazer," who brings efficiency, creativity, attention to detail, and a relentless trial-focused instinct to her cases. She is currently leading In re Blue Cross Antitrust Litigation (Plaintiffs’ Steering Committee), In re Local TV Advertising Antitrust Litigation (Lead Counsel), and In re Diisocyanates Antitrust Litigation (Co-Lead counsel). Megan prides herself on the ability to create and lead teams of lawyers of any size (having organized teams of 80 law firms, in one particular case) to create a record that either wins the case, drives settlement, and /or obtains a decision upheld at the appellate level. 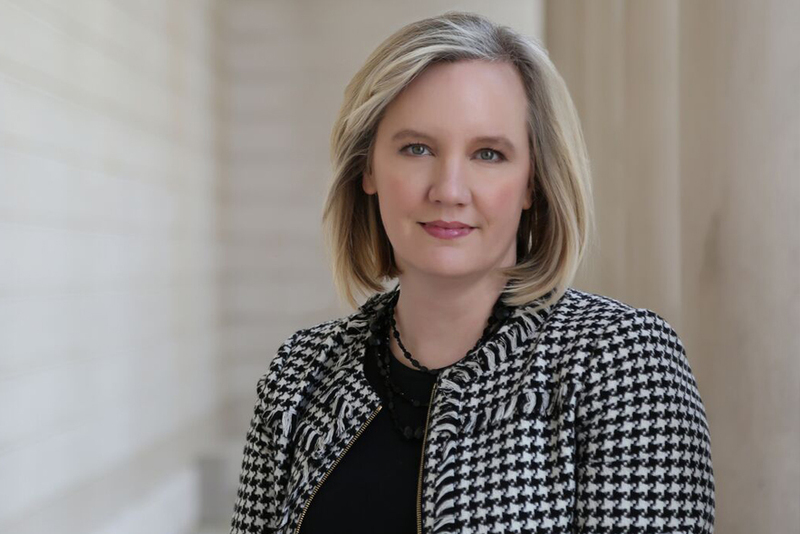 Part of her success is due to Ms. Jones’ belief in using diverse and inclusive litigation teams, which she has helped foster over a decade by creating and running a conference for women antitrust lawyers to exchange best practices. She has been profiled as a Female Powerbroker in her field, as well as chosen to be an Equity Champion to help provide an economic incentive to close the gender gap in law. Ms. Jones, described as “personable, very smart and really capable” by Chambers and Partners, is adept at representing both classes of businesses that were harmed as well as individual businesses. Megan’s competition litigation efforts get results: In re Municipal Derivatives Antitrust Litigation (over $200 million for the class); In re Polyester Staple Antitrust Litigation (W.D.N.C.) ($63.5 million on behalf of class); In re Compact Disc Antitrust Litigation (C.D. Cal.) (over $50 million on behalf of class); In re Rubber Chemicals Antitrust Litigation (N.D. Cal.) (over $100 million on behalf of class); In re MMA Antitrust Litigation (E.D. Pa.) (over $20 million on behalf of class); In re EPDM Antitrust Litigation (D. Conn.) ($81 million on behalf of class). Megan was also involved in the negotiation of a $300 million global settlement with Bayer (which resolved three cases: EPDM, Rubber Chemicals and NBR), and drafted the innovative settlement agreement itself. Called one of the “nation’s best lawyers in an MDL” and a “professional problem solver,” Megan is both reasonable and relentless. She carefully chooses her legal battles, and eschews gamesmanship for the sake of gamesmanship. Mindful of scarce judicial resources in complex antitrust cases that can last years, she develops a strategy at the outset about what particular legal issues need judicial attention and clears the board of the rest. She is highly respected from all contingents because she brings that same strategy to settlements, using her almost two decades’ of negotiation experience from being at Hausfeld LLP to craft settlement strategy and terms in even the most difficult cases. Just one example of this creativity is that in one of her cases, Megan worked with and joined Select State Attorneys General to co-negotiate and jointly settle a class claim on behalf of certain states as well as the civil litigation class. Megan is also a member of The Sedona Conference®, which is composed of leading jurists, lawyers, experts, academics and others, at the cutting edge of issues in electronic discovery. She is co-author of two Sedona publications: "The Sedona Conference Glossary: E-Discovery and Digital Information Management" (2nd edition), December 2007, and co-author of "Navigating the Vendor Proposal Process: Best Practices for the Selection of Electronic Discovery Vendors," published by The Sedona Conference®. She also testified before the Federal Rules Committee in 2014 on the impact of the changes of the rules on electronic discovery. In 2014, she also chosen to speak at the American Bar Association's 8th National E-Discovery Institute, where nationally-acclaimed e-discovery professionals convened for a full day to analyze and discuss the latest developments and best strategies for managing the e-discovery process. Transcript of August 30, 2018 Hearing at 23, In re Blue Cross Blue Shield Antitrust Litig., No. 2:13-cv-20000 (N.D. Ala.). Named to "The International Who's Who of Competition Lawyers & Economists 2014," by Global Competition Review and Who's Who Legal. Global Competition Review profiles Megan Jones as one of their "100 Women In Antitrust"
"A Litigator's Approach to Pricing Algorithms Cases: What Will We Need to Know?" ABA Global Private Litigation Bulletin, Issue 13, March 2019. M. Jones joins Judge Francis and R. Trenchard (Wilmer Hale) in this podcast about the latest trends in cost-shifting in electronic discovery. "Q&A: Megan Jones on corporations as plaintiffs", Global Competition Review, March 2014. "All I Really Need to Know About Antitrust Settlements, I Learned in Kindergarten," ABA Criminal & Cartel Practice Committee Newsletter, March 2011. "E-Discovery Today: The Fault Lies Not In Our Rules...", The Federal Courts Law Review (FCLR), Vol. 4, Issue 2, 2011. Changes in Competition Litigation in Europe: What’s on the Horizon?